One of the things we had been looking forward to most of all with getting our new house in Ohio was buying a grill. After six years in Boston with nowhere to put a grill, Hubby started shopping drooling over grills the second we started looking at houses. He had his eyes on a crazy huge one and after some negotiation and consideration, decided on a Weber that heats up in no time flat. He’s seriously so giddy around that thing! We’ve been grilling ever since it was put together, shortly after moving in. And when I say we’ve been grilling, I mean that we’ve grilled every night (and usually twice on weekend days) except when we were out of town or it was raining. It’s been amazing. 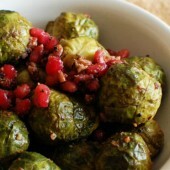 While Hubby was eyeing grills, I started researching grilling recipes. I have a ton saved up that I want to try. Really when it comes to grilling, you don’t really need recipes. We tend to just season our protein and veggies and throw them on the grill. A few minutes later, it’s time to eat. Grilled Caesar salad was something I knew I wanted to try. 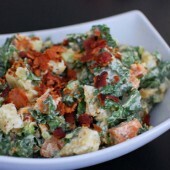 Using the homemade Caesar salad dressing that I whipped up, we have been enjoying grilled Caesar salad on a regular basis. Who would have thought you could grill lettuce. By doing so, you get a great smokiness with every bite. If you have a grill at home, I highly recommend trying this out! Heat grill on high for a few minutes until hot. Lower temperature to medium-low. Slice the romaine hearts in half lengthwise. 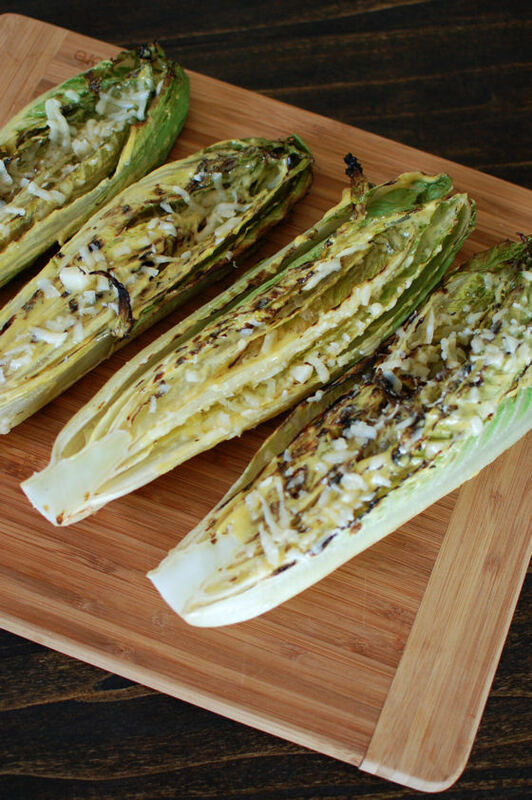 Lightly brush the cut side of the romaine with olive oil. 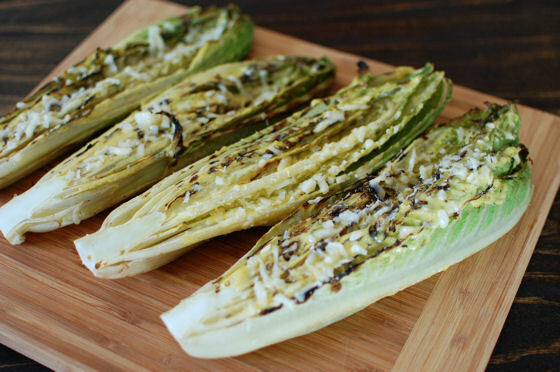 Place romaine hearts on grill, cut side down. 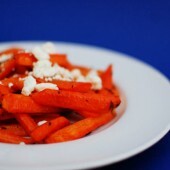 Cook for 1-2 minutes and remove to a plate. 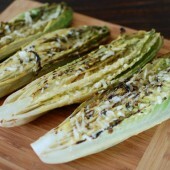 Brush romaine hearts with Caesar salad dressing and sprinkle with Parmesan cheese. Replace on the grill, cut side up. Close grill for 30-60 seconds or until cheese melts. 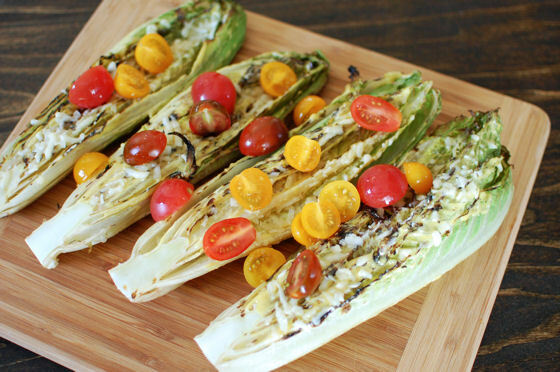 remove romaine to a platter. Squeeze lemon juice over romaine, season with salt and pepper. Top with cherry tomatoes if using a serve immediately.